Bay City Free Will Baptist Church (BCFWBC) is a growing church in Semmes, Alabama adjacent to Mary G. Montgomery High School. The church is used as overflow parking for football games and other school and community events. The current parking lot was grass and standing water, especially after rain events, had become a concern to the church staff. In 2015, BCFWBC retained McFadden Engineering to develop a parking area and upgrade the site drainage. 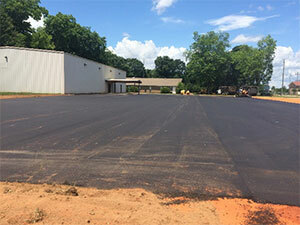 McFadden Engineering worked with the city of Semmes, Alabama to develop a commercial site plan design that provided 70 parking spaces for the church in front of the worship facility. 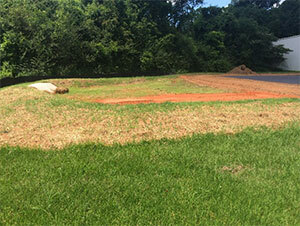 A new detention pond was also designed and constructed to capture stormwater runoff from the parking area. In addition, culvert pipes for the two existing access driveways to the church were upgraded to meet Mobile County, specifications.